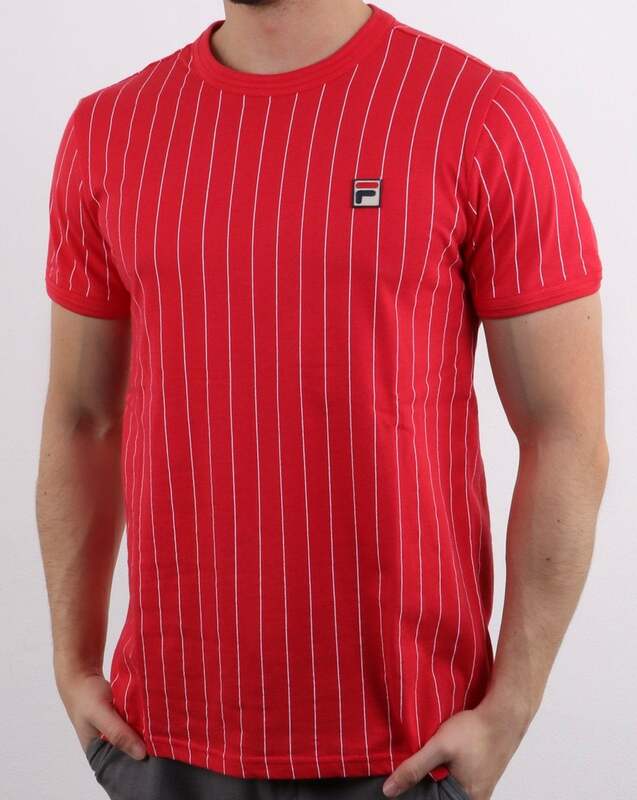 This is the Fila Vintage Pinstripe T-Shirt in Red and White. The pinstripe T-Shirt has taken inspiration from the Fila Vintage Settanta polo shirt that was a a classic worn by Bjorn Borg when playing Tennis. The Fila F Badge has been embroidered onto the left hand side of the chest. The white pinstripes run down the full length of the body for that classic look and Red neckline ringer gives the T-Shirt a nice comfortable fit on the body.